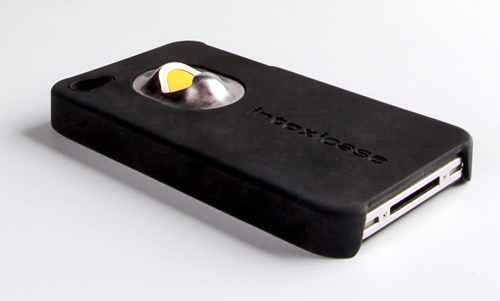 Not only have I discovered that there is an app for everything on your iPhone, now there is a iPhone case for every use. I received a Groupon offer last week for an iPhone case that opens beer bottles. I'm not sure this would be the best cell phone case to have in your car if stopped at the DWI checkpoint in Mecklenburg County last night, but maybe some are just using it to open a bottle of root beer soda. As of Sunday afternoon, only 40 have been sold it looks like everyone still prefers the old fashion key chain opener. On a side note, twelve people were arrested last night at the DWI checkpoint off Freedom drive in Charlotte. The checkpoint ran from 11PM to 3AM. With July 4th a few days away, I imagine this is the first of several checkpoints that will be set up in Mecklenburg County in conjunction with the Booze It or Loose It campaign. Click here for the total number of arrests from the Booze It or Loose It campaign in 2011. I love this case, so cool! Thanks for the info on this awesome case! The perfect combination of two things that you should never leave home without, in one iphone case! I am going to have to agree with you on the DWI checkpoint problem should you get stopped! I am sure the police would have a couple extra reasons to check you out!